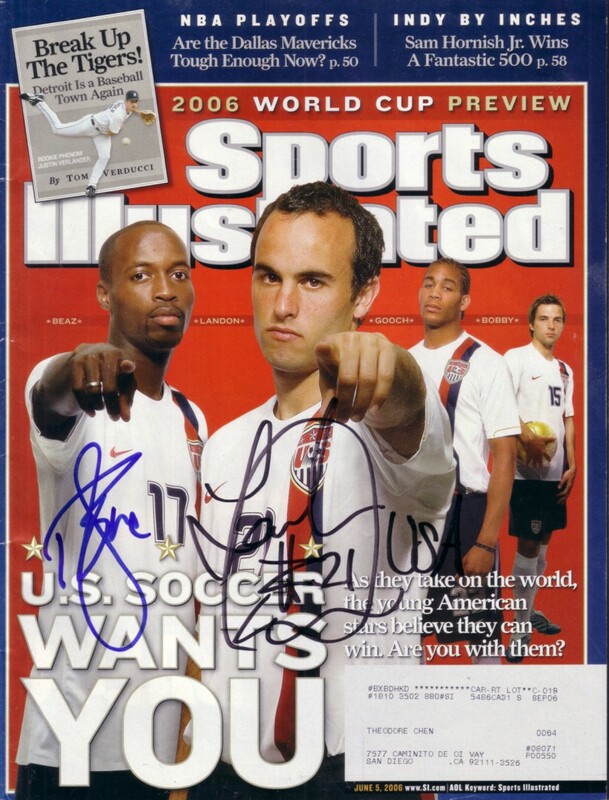 2006 World Cup preview issue of Sports Illustrated autographed on the cover by U.S. Soccer stars Landon Donovan in black marker (he added USA to his signature) and DaMarcus Beasley in blue marker. Has minor flaws and wear. ONLY ONE AVAILABLE FOR SALE. With certificate of authenticity from AutographsForSale.com.